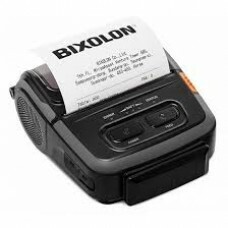 The Bixolon SPP-R310 is a compact 3" thermal printer designed specifically for mPOS applications. With options for Wi-Fi and Bluetooth connectivity, the SPP-R310 is the perfect companion to an iOS or Android based mobile device. 30% lighter and 26% slimmer than it's predecessor, the SPP-R300, the SPP-R310 makes mobile receipt and label printing easier than ever.